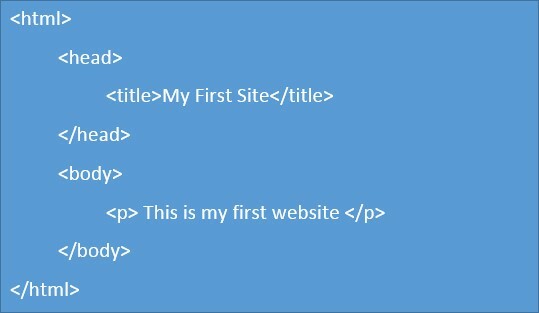 Follow up blog from Junior Web Developer Shahram Zamani’s blog: How to create a simple HTML page. Now you know how to build a basic web page including a <head> tag, <body> tag, and even <p> tags. 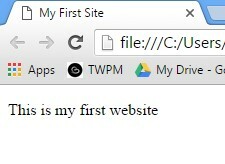 We are going to look into styling our basic HTML page using CSS language, and link a stylesheet to our HTML page. To begin with, you will need a text editor. There are many open source editors available such as Notepad++, Sublime Text, Atom, and my personal favourite, Brackets. If you are new to coding, or using CSS, I would advise using Brackets as it is designed specifically for front-end developers/web designers with a built in LIVE preview update. It also features a CSS selector, which means you are able to select a piece of CSS and it will highlight in the browser, the area you are targeting. 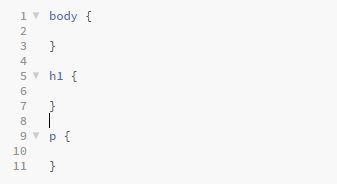 This is a perfect tool for grasping CSS if you are new to it. It looks empty so feel free to add some more content using the HTML tags you learnt in the previous blog. We can now begin the fun part and add some colour! To do this you will need to open a new page in your chosen text editor and save it as main.css. Cascading Style Sheets (CSS) is a stylesheet language used for describing the presentation of a document written in a HTML mark-up language. In CSS, we are able to target specific HTML tags and apply different styling including colours, layout, variations, effects and sizes etc. Before we begin coding CSS, we need to consider the HTML tags used on our webpage so we can target these in our main.css stylesheet. You are now probably wondering why your HTML page will not load in the browser with the following presentation rules. The reason for this is our HTML page has no recognition, or link to our CSS page. The above CSS rules are basic; now you have learnt how to link a stylesheet to your HTML page, you can now experiment with more in-depth CSS rules and it shall update in your browser. If you need help with creating a website for your business then feel free to contact one of our experts at Bravr today.